As Ukraine-Russia gas dispute continues, and the Kremlin seems to be losing - under the decision of Stockholm arbitrary court - Gazprom, the Russian energy monopolist uses its power to affect and manipulate the economies of gas-dependent countries of Eastern Europe. The Telegraph wrote that in an article on the issue. 'The longest investigation in EU history found that the Kremlin-controlled energy giant Gazprom has used its enormous power to pressure vulnerable states in Eastern Europe and to fragment the EU’s unified energy market with coercive pricing policies. 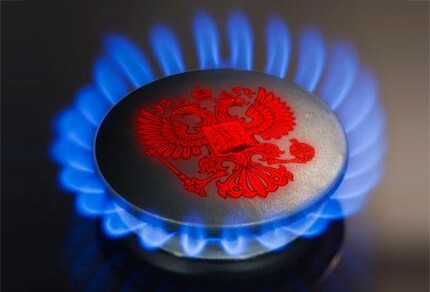 The report suggests that Germany has been enjoying a sweetheart deal with Gazprom, gaining a competitive advantage in gas costs at the expense of fellow EU economies and leaving frontline states at the mercy of Moscow's strong-arm tactics. Hundreds of pages leaked from the European Commission paint an extraordinary picture of predatory behavior, with Gazprom acting as an enforcement arm of Russian foreign policy. Bulgaria was treated almost like a colony, while Poland was forced to pay exorbitant prices for imported flows of pipeline gas from Siberia', the story reads. 'Critics say the double standards over Gazprom suggest that Commission has succumbed to "regulatory capture" or other forms of pressure, and has become ideologically unhinged. The key report – called a ‘Statement of Objectives' – is a confidential indictment or charge sheet by the competition directorate. It was drawn-up in 2015 after four years of investigation, following the most spectacular "dawn raids" ever carried by the Commission’s elite swat team. It states that Gazprom infringed multiple EU laws and had engaged in “abusive behaviour”, charging “unfair prices” and leveraging its “dominant position”. The Commission called for fines of 30pc of relevant sales, or up to 10pc of total turnover. “The Commission considers that the infringement has been committed intentionally. Gazprom is fully aware of the illegal nature of at least some of the various contractual and non-contractual measures,” it said', the article continues.